The Best Views In Athens You Must See- The Top 10 Spots! 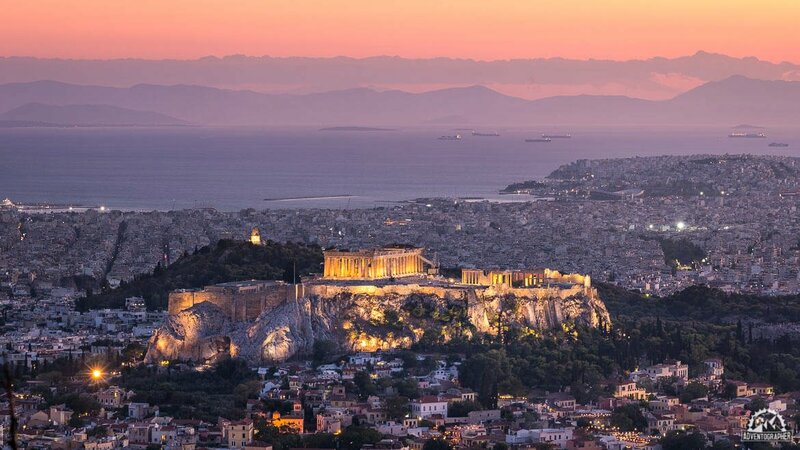 Home » Europe » Greece » The Best Views In Athens- The Top 10 View Spots! 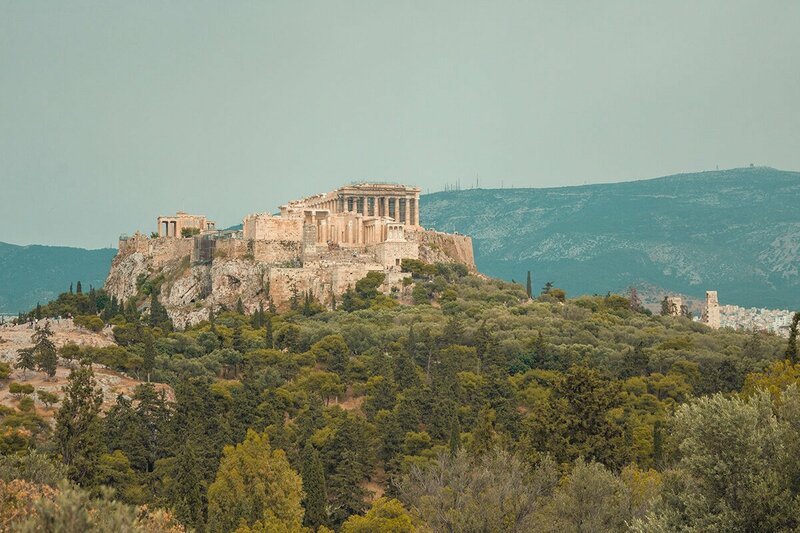 The Best Views In Athens That You Need To See During Your Visit! For the best views in Athens you must know where to go in this bustling city. There are so many view point opportunities, from restaurants and mountains to historic sites and hotel terraces. This can all get a little bit overwhelming. 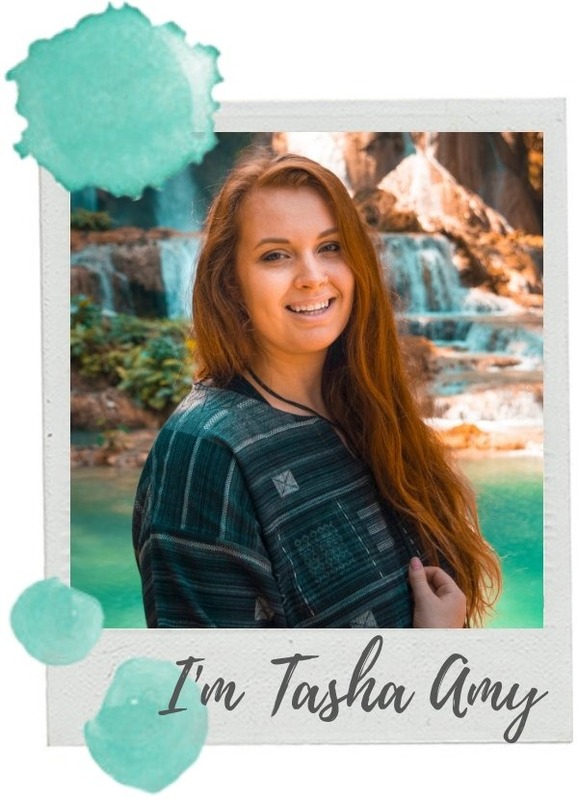 So, I have teamed up with some knowledgeable travel bloggers to bring you the ultimate list of the best views in Athens. 1 The Best Views In Athens That You Need To See During Your Visit! The National Observatory is just a short uphill walk from the Acropolis Museum and has some of the best views in Athens. Though, if you follow the path on the left side of the road and into the park this is where you will find the prime spot. I ventured up there on an afternoon tour with Athens By Bike for one of the best views of the Acropolis which are completely uninterrupted. It is usually super quiet here as it is a lesser known spot within the city. Grab a picnic and head up for sunset for some of the best views. Though, any time of day it is pretty amazing and even better, it is free to visit this park. Fancy a great meal and a spectacular view? Hotel Grande Bretagne is a 5-star luxury hotel, in the heart of the city where you can get a bird’s eye view of one of the best views in Athens. You’ll see the Acropolis in all its glory during the day, or you can wait for the sun to set and see it glittering in the backdrop along with the beautifully lit cityscape. The Aegean Sea, Lycabettus Hill, Parliament and the Kalimarmaro Stadium are also visible from the hotel’s rooftop. This iconic city center establishment is located across from Syntagma Square, within walking distance of exclusive shopping areas and museums. 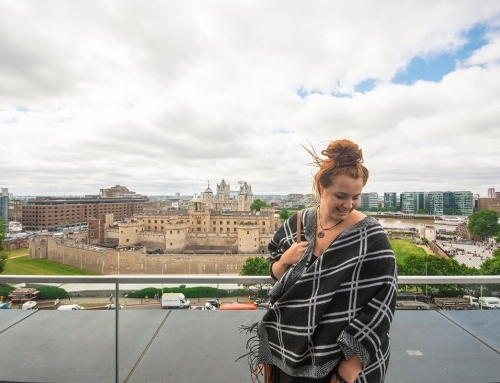 Take in the view over breakfast, lunch or dinner at the GB Roof Garden Restaurant or have a drink at the GB Roof Bar or at Bar 8. The dress code is casual for breakfast and lunch, but an elegant, smart casual dress code is expected after 18:00 at the restaurant and at both bars. Be sure to make a reservation at the restaurant as it tends to book up quickly! 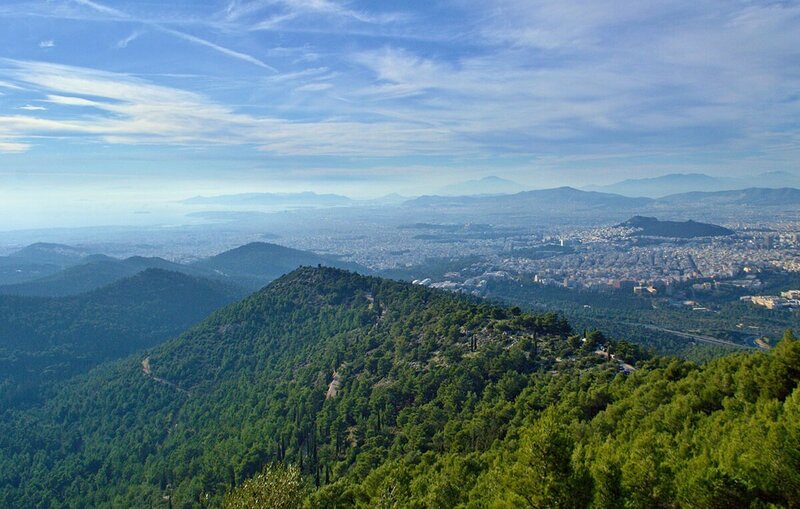 For a completely different view of Athens head to the Kaisariani Forest on the western slopes of Mount Hymettus. Being one of the last wooded areas on the mountain, this is a popular weekend destination for the Athenians wishing to escape the hustle of the city. The forest is crisscrossed by a good network of hiking trails providing endless walking opportunities and amazing views of the Greek capital. 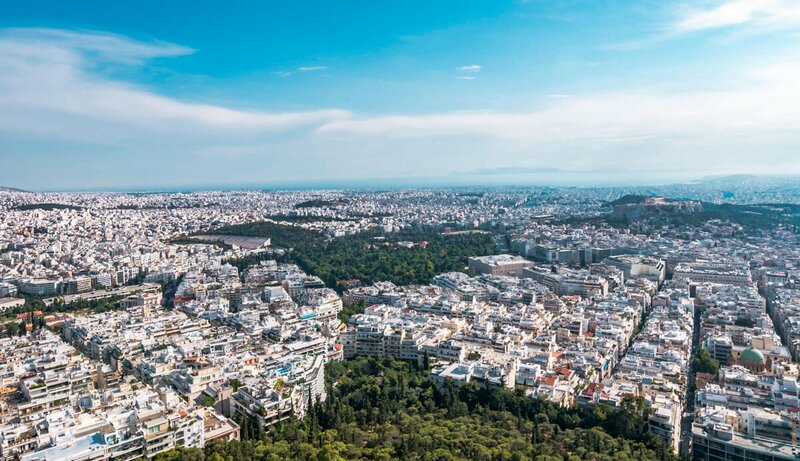 On a clear day, you can see as far as the other two Athenian mountains, Penteli and Parnitha, the Port of Piraeus and even some of the Saronic Islands. The characteristic silhouettes of the Acropolis of Athens and the Lycabettus Hill sit in the middle of the Athenian plain, clearly visible from the distance. Getting to the Kaisariani Forest from the center of Athens is easy but involves a bit of walking (or taking a taxi). Take the blue metro line to the Evangelismos metro station in order to catch a bus number 224 going to Kaisariani. Get off the bus at the last stop and continue walking up towards the mountain. You’ll reach the entrance of the Kaisariani Forest after about 2 kilometers. To avoid the walking part at least on the way up, take a taxi from Evangelismos metro station. They are inexpensive and the drive to the Kaisariani monastery shouldn’t cost you more than 5 euros one way. There is a small, simple café called Kalopoula hidden in the forest further up above the Kaisariani monastery. It doesn’t offer views of the city but is a pleasant place for a lunch of hearty bean soup or tasty traditional spinach pie. On our last visit to Athens we chose to stay at the newly opened Zillers Hotel on the famous Mitropoleos street right in the heart of the city. 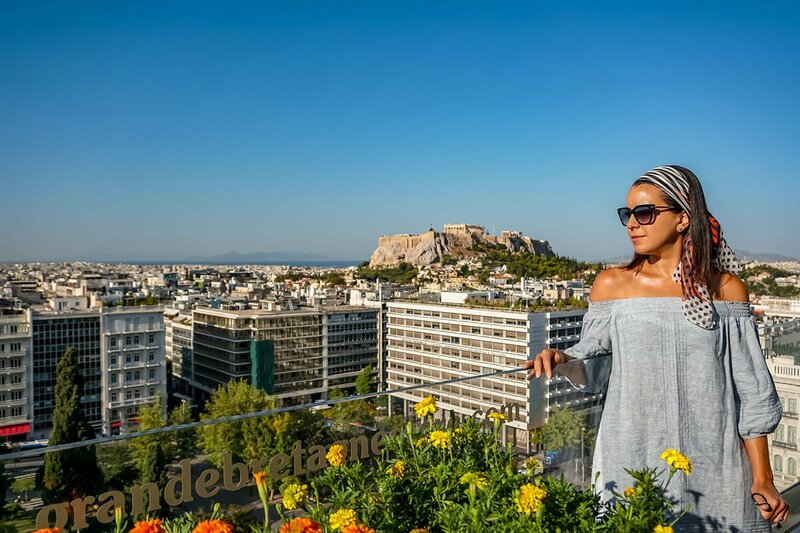 Its a gorgeous boutique hotel with an affordable price tag and not only did we enjoy stunning views from our room but the rooftop bar and restaurant also has one of the best views in Athens! The restaurant is described as a “rooftop garden that offers a sense of nostalgia and reverence that only a handful of places in the world deliver” and its easy to see why. Delivering breakfast, lunch and dinner as well as cocktails and all with unobstructed views of the amazing Acropolis before it. There are also some very good views of the magical byzantine Agios Eleftherios church and square which is right out front. 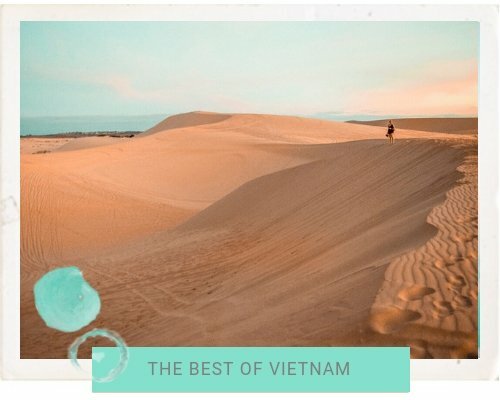 Whether you are staying at Zillers Hotel or not ( and you should!) make sure you find time to drop in for a meal or a drink and see why this is our new favorite spot in Athens. While Athens is a stunning city with epic views and a story around every corner there’s still nothing quite like a sunset cocktail at Orizontes Lycabettus. The ability to combine gourmet food & wines, delicate deserts and curious cocktails with one of the best sunset views in Athens makes this spot a must see on your Athens Itinerary. One of the perks of taking in the view at Orizontes restaurant is the distinct lack of crowds that you’ll find at the other viewpoints on the mountain. While there’s simply no ‘bad’ seats here, with a little planning you can reserve a table on the outside of the balcony for unimpeded views. Access is easy, simply head for the high point in the center of Athens. If you’re feeling the need to work up an appetite (or perhaps work off one too many baklava in my case) then the hike up Mt. Lycabettus is worthy of your attention. For those seeking easy access or running late for the sunset the funicular railway reaches the top of the mountain in only minutes for a few euro. 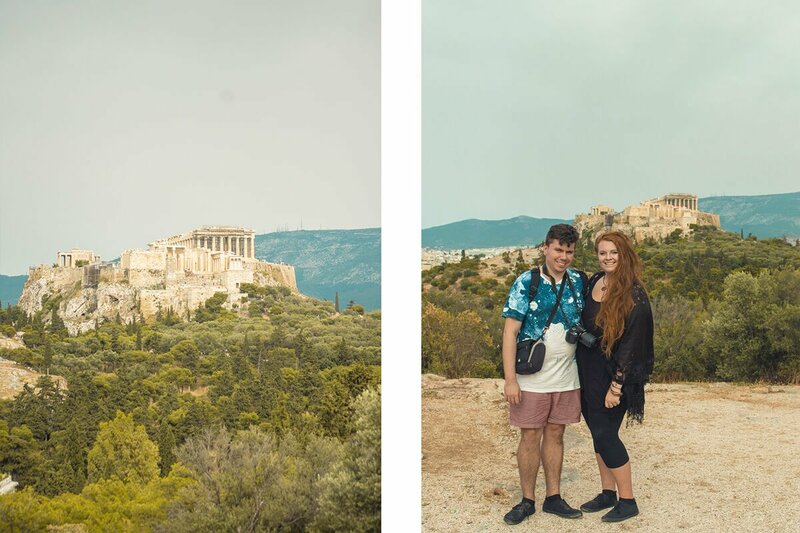 With the Parthenon perched atop of the Acropolis hill overlooking the city, it gives a visitor 360 opportunities to look back at it. 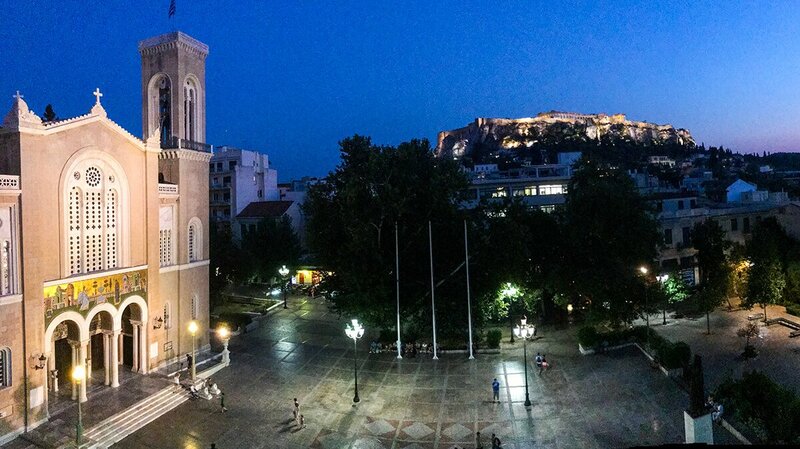 One of those viewpoints is at the InterContinental Athenaeum. There are lovely views to be seen from their Premiere Restaurant or better yet stay the night and check it out with access from their club lounge. 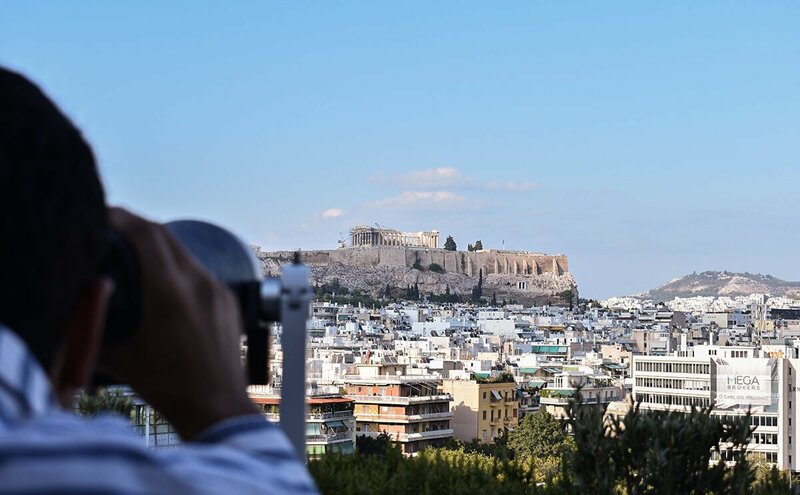 In the lounge you can enjoy the same beautiful view of the Athens skyline and the Acropolis from a distance, or have the option to see it up close with the stationary binoculars. The hotel is a short drive away from many central historic sites of the city in the Attiki neighborhood. An average night at the hotel costs $150.00 but can vary depending on time of year. The Premiere Restaurant is known for tasty but expensive menus, so consider coming before sunset for drinks or dessert (or both!) instead. Tip: If you collect IHG points or others, see if it can help upgrade you to a room that allows club lounge access. We got the best value out of staying at the hotel and fueling up on the delicious food offered as compliments in the lounge. One of my favourite views of Athens is from the Ancient Wall of Pnyx. 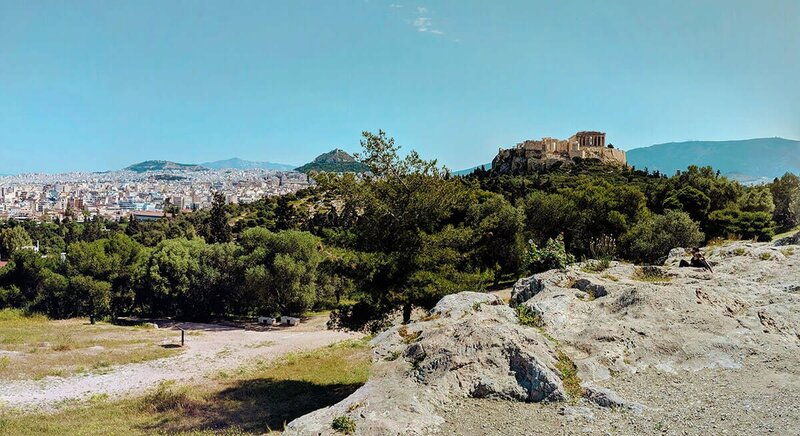 Not only do you get a great view of Athens, and not only is it completely free to get into this park, but it’s also an incredibly important historical place within Greek and world history. Pnyx was the official meeting place of the ekklesia, or Athenian democratic assembly. It was here that the big political issues of the day were debated and voted upon by the assembly, and it’s here that we get the first instance of democracy in the world. Admittedly only men got a vote, but the very idea of giving normal citizens a vote was completely revolutionary at the time. It’s incredible that you can come and stand in somewhere that’s had such a big influence on the world. Even more incredible is that fact that this park is rarely ever busy. It’s a great place to look out over Athens and be with your thoughts for a moment or two. Mount Lycabettus is one of the most classic stops in Athens, and from here you can enjoy a breathtaking view over the city. To get to the top and viewpoint, you can either walk or take the funicular. On the top, you have a 360 panorama view from the highest point in all of Athens, at 277 meters above the sea. The view from Mount Lycabettus is best enjoyed in the evening when the sun goes down. It’s really beautiful if the weather is good. Personally, I feel that the funicular is not worth it as you need to either walk or take a taxi to it in the first place, and it’s uphills. The funicular ride is very short and you’ll be up in no time. And that’s why I suggest to walk instead, and save the money if you’re in good health. The walk is only uphills, and not hard if you have a decent fitness level. The walk down is even easier, and you’ll be back in the city center at no time. I am always looking for excellent city views for my camera and I to enjoy when I travel. When dear hubby and I visited Athens for our 20th anniversary, I knew that a restaurant or hotel with the best view of Athens we could find for the price was a high priority. The Athens Gate Rooftop Restaurant, atop the Athens Gate Hotel, was exceptional. The restaurant boasts terrace seating with 360-degree views of Athens, but also interior seating where you can dine with the same amazing views while protected by the glass walls. To the northwest, you have a beautiful view of the Acropolis over the rooftops of Plaka. On the northeast side the view is Lycabettus hill. Then the east and southeast the view is of the Temple of Olympus Zeus and over the tops of Athens homes and buildings until they fade into the mountains. And finally, to the southwest you can see all the way to the sea in the distance. The restaurant is a bit more on the pricey side, but for a special night with an amazing view, it’s worth it. Plus, you can always go and get just a drink and special dessert to make it work! If you want to splurge, the two suites in the hotel are only one floor down from the restaurant and have large, wrap-around terraces that give you a good percentage of this view anytime you want to walk outside and enjoy it. Look no further than centrally-located A for Athens Hotel and Bar if you want to make the most of your trip to Athens. The rooms are enormous, bright and some even offer an unobstructed view of the Acropolis! 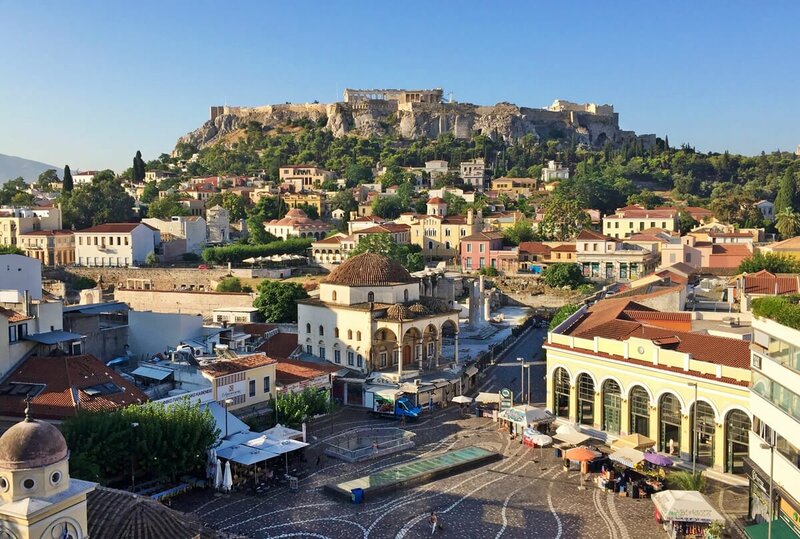 A for Athens is in the heart of the Monastiraki neighborhood and is the perfect base for exploring the historic and archaeological sites in the city. It is a 10 minute walk away from the Acropolis and just a quick stroll away from Hadrian’s Library, the Ancient Agora and plenty of eateries. If you don’t want to stay at the A for Athens Hotel or it is fully booked, you can still venture up to their incredible rooftop bar for this view of the Acropolis. 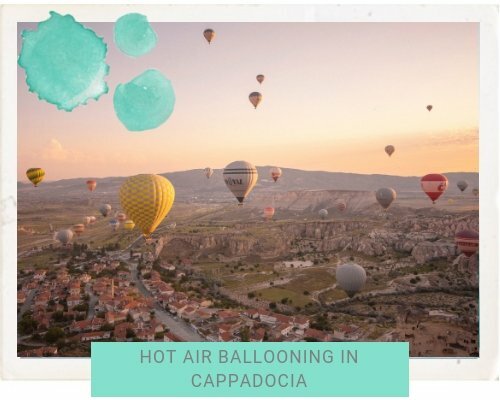 The menu is chock full of unique cocktails and is the perfect view point in Athens to stare in awe at the sunset and changing colors, but make sure you call ahead and book a table! 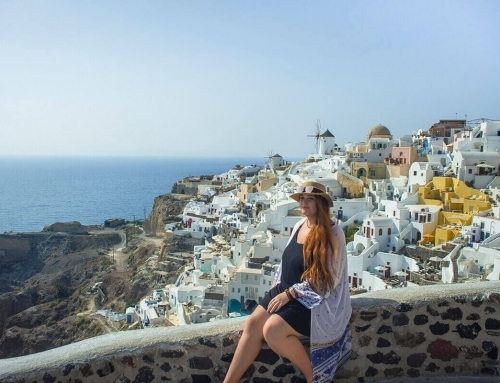 Decided to explore Greece? 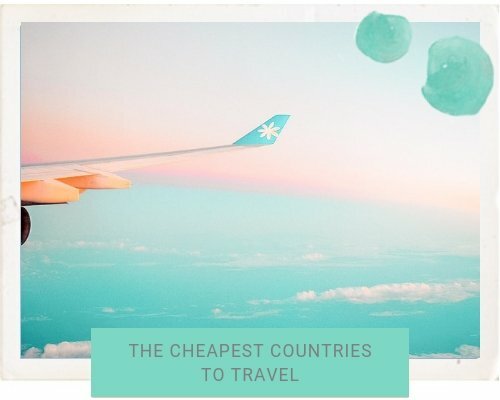 Book flights now with Skyscanner! Want more Greece Inspiration? Check out…. Happy to have contributed! So many amazing places. We were too short on time, but need to go back for many of these places, but especially ‘A for Athens’!